ReactJS! Woohoo! With ES6 and webpack behind us, we can finally have some serious fun! 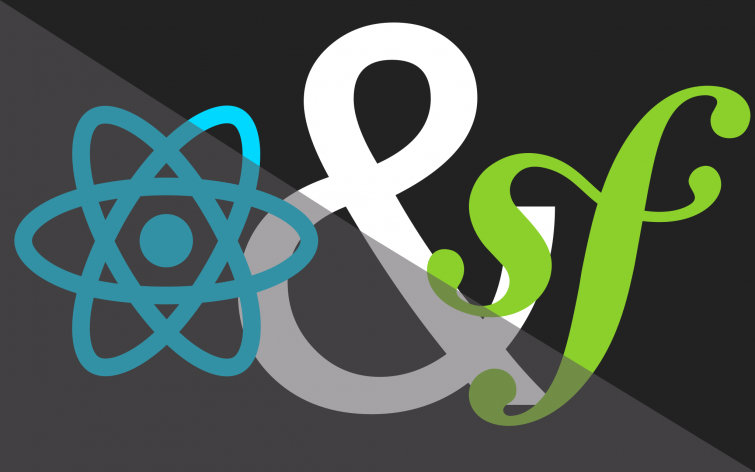 In this course, we'll introduce ReactJS, get it working through Webpack and starting building a real application. Yes, a real application! We'll identify a set of strategies & best practices to follow to put this super powerful tool under your control! The course is completely released, guys! Thank you for your patience! Meanwhile, your vote for this course is counted. Thank you for your patience! Hi Team, will there be any VueJS related courses in the future? Great information. Since last week, I am gathering details about react js experience. There are some amazing details on your blog which I didn’t know. Thanks. I can, but approximately :) We're trying to release a video every day, but we do not release videos on weekends. And it's about 25 videos are left until the end. So, this course should be completely released in 5-6 weeks, but once again, it's approximately. Thanks for your patience! Can you tell me (approx) when the ReactJS (with Symfony) course will be completely done ? That's correct :). React talks to Symfony via API points that you've built into your API. For authentication, there are MANY ways to do it, unfortunately (because it gets confusing). OAuth is one of the more powerful / flexible ways, but also more complex. It just depends on what you need. A lot of times you can just use a session cooke like normal authentication. Or, you can use a simpler token-based authentication. Please rush it, I want to see this course, so badly. I hope you will treat in some detail the authentication part, which I'm curious in. Will you store the JWT in localStorage or in a cookie, as I think that you will use JWT for authentication? Hi Victor Bocharsky, I think it will be making API on Symfony 4 and I hope with Oauth. As for React it will be pulling all data from API. Am I right? I'm working on it right now! But, yes, this tutorial has been way too slow - it's been very difficult to write - finding & translating the front-end best practices so they apply better to us, back-end developers. Also, the fact that we're doing a React tutorial now and not a Vue tutorial isn't a vote for React versus Vue - both are great and seem to be have a *lot* of traction. I would recommend either of these :). Yes... and we're still releasing Doctrine tutorial: https://knpuniversity.com/s... . But there's work in full swing on this ReactJS tut in our private repo! So we're really working on it right now, and I'm pretty sure this tutorial will be the next one from Ryan. Impatiently waiting for this course. Just want to re-design my Symfony project's front-end in React, which is now Twig with old fashion JS. Would be great to use React with Symfony 4, so hope to see this course soon. I still can't wait for this video, but unfortunately in my need for information on JS Frameworks and while waiting for this series, I found VueJS and haven't looked back. I don't want to be a one trick pony, so I will be back for this series, but at the moment we are moving quite a bit of our PHP eco system over to VueJS. As paying customer, I am starting to get tired of the wait, we need you to lay an egg on this course quickly. Yeah, sorry about delays. But I have good news for you! We're working on this tutorial right now with our awesome co-author, and we're going to start releasing this course after Doctrine one. Thanks for your patience! Nothing yet felipyamorim! It's my fault - this has been a tough one to schedule in! But, I'm hoping to make it the next tutorial, after the one we started releasing today (Symfony and Doctrine). I can't give you a specific release date, but what can I tell you is that this course is not frozen anymore! You can subscribe to our mailing list, or click on "Notify me.." button, so you receive an email as soon as this course is published. Unfortunately we don't have strict timeframes, but I think this course will definitely be released after Webpack Encore one, on which we're working on right now. The reason is that we need Webpack Encore for ReactJS course. Thanks for your patience! Do you guys have a timeframe when this course will be released? Surely it will be very useful, I would have however preferred the integration with VueJS that seems indeed excellent. No problem ;) This means users are really interested in this course which is good, so maybe this course will be released faster. But anyway, we're going to release a few Symfony 4 related tutorials at first which makes sense. Unfortunately, there's no plans to release it very soon, we're going to release a few other tutorials before start planning this one. when is this course release? We're going to release a few tutorials before it, then this course is next for planning. See the order of our upcoming tutorials here: https://knpuniversity.com/c... . But it's difficult to say an approximate release date, sorry. It's for when this course ? Thank you, for your most full replay on my question. I fully agree with you. So let's start waiting for 2018! Yes, that's my decision... or my fault perhaps :). We added a note about it to the top of this tutorial. Basically, with Symfony 4 so close (its release is in about 1 month), we want to create a React tutorial that will be the most helpful into the future for people. That means we need to delay it until the beginning of 2018 so that it can be created using Symfony 4. I apologize for the delay - that's 100% my fault. We should not have even advertised this course until we were quite close to releasing it. We're working to do that better in the future and give people much more accurate release dates. Diego Aguiar you mean it is true. Earlier React course was planning after Php-Unit course and it was second in roadmap. Now it is fourth in queue. Please, confirm or refute this news. I see you have inserted 2 more new courses before React in roadmap. My heart is broken. I can't get through that news. Any updates on this course? We've added that to our idea list. I think it makes a lot of sense to talk about Vuejs also! And with Vuejs? Working with Vuejs is easy with Laravel but not in Symfony. We start releasing Webpack course this week. Actually, the first release will be today :) Then we'll start working on this one about ReactJS. We can't start with it until Webpack course is released, because most probably we will need Webpack features in that course. So you can track Webpack release to see the progress. When will it be published? I'm looking forward to. Hey Guys ! Looking forward for this course.. almost every month I come here to check if is available !! We don't have a release date yet, but this course will be released *after* the one about Webpack. We're working on EasyAdminBundle and Ansistrano tutorials right now, so the next should be a few JS tuts, but anyway Webpack course will be first. Hmm, I don't think we'll talk about React Native... but if there's some specific question/problem that you're wondering about related to the Symfony endpoint/API and how it would communicate with React Native (e.g. authentication) ... that might be interesting. Let us know! Hi guys, any chance you will cover using React Native for mobile app development with a Symfony endpoint? We'll start work on the Webpack tutorial very soon, then this will be after. Unfortunately, this tutorial may still be a couple months away. But, I'm going to do my best! whats the status of this course? When will it be available? I really hope this course comes out soon! Looking forward for this course and get the best of React+Symfony! Thank you Ryan and your team for teaching us to go further and further with so much enthousiasm. Please I am also very interested in this course!! !